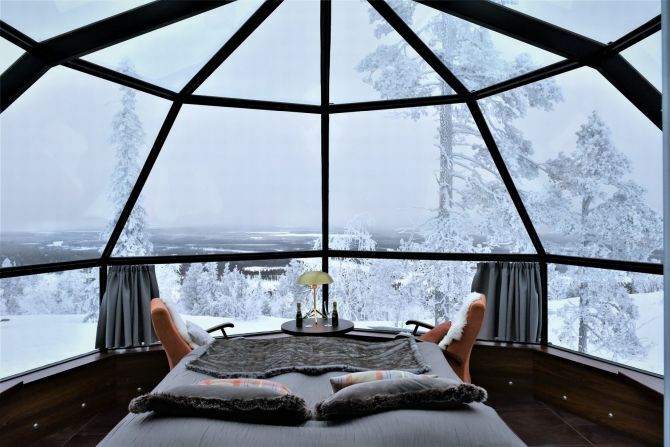 Sleeping under the stars has gone more luxurious, all thanks to these stunning 24 glass igloos in Lapland. 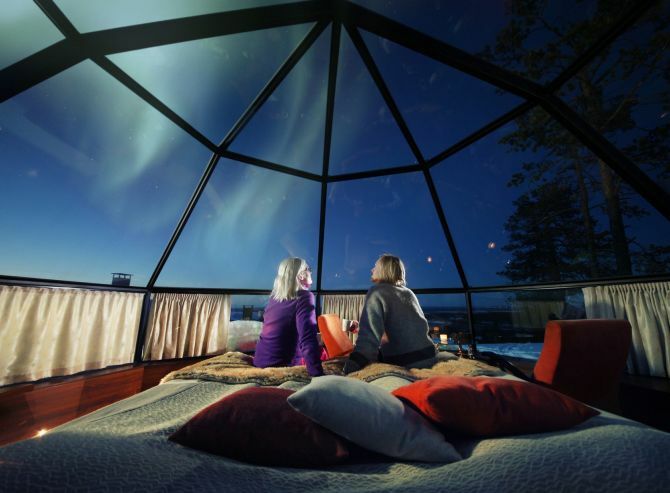 Levin Iglut Golden Crown is a family business in the Lapland region and boasts 24 glass igloos, which guarantee unobstructed views of the Northern Lights. 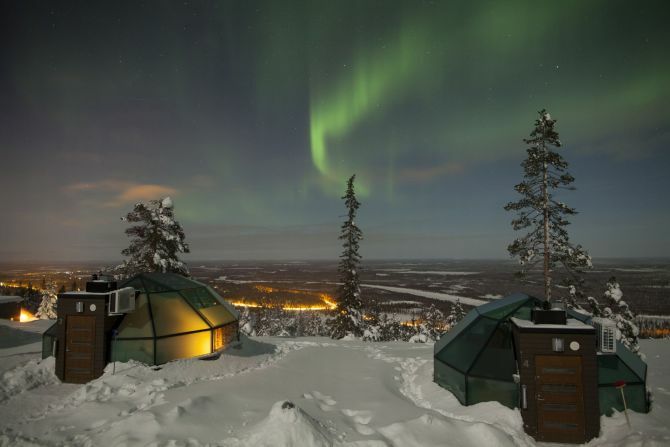 If you’ve ever wished to watch the stunning Northern Lights in the heart of Lapland in Finland, these luxury igloos are just perfect. 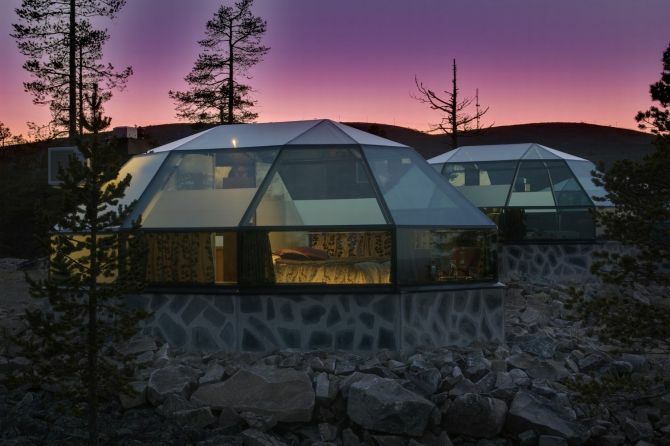 Each igloo features electrically heated non-fogging glass, air conditioning, a small kitchen, shower and toilet, and Wi-Fi connection. There are motorized beds that can be adjusted as per your comfort. 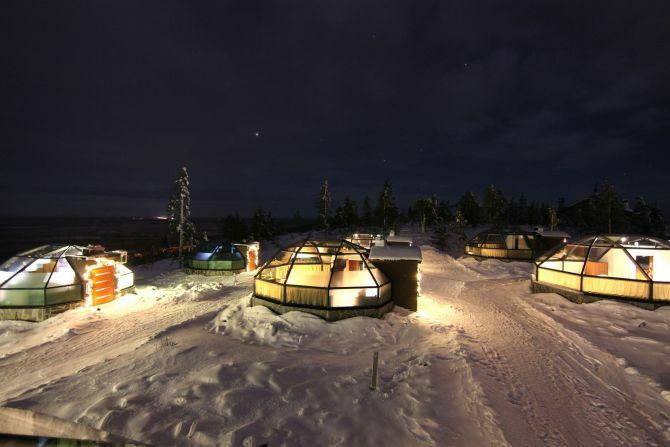 The best part is, of course, the gorgeous view of the star-studded sky at night – straight from the comfort of your bed. You can choose between two types of accommodations – Premium and Superior. However, luxury does come at a cost. 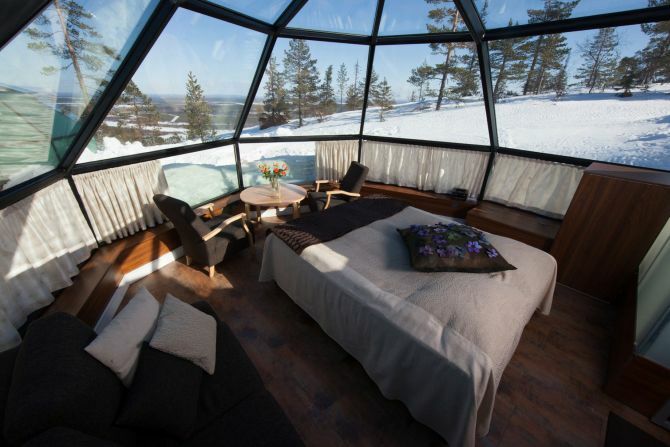 If you want to stay in a Premium Igloo for two people, it will cost you €529 a night. 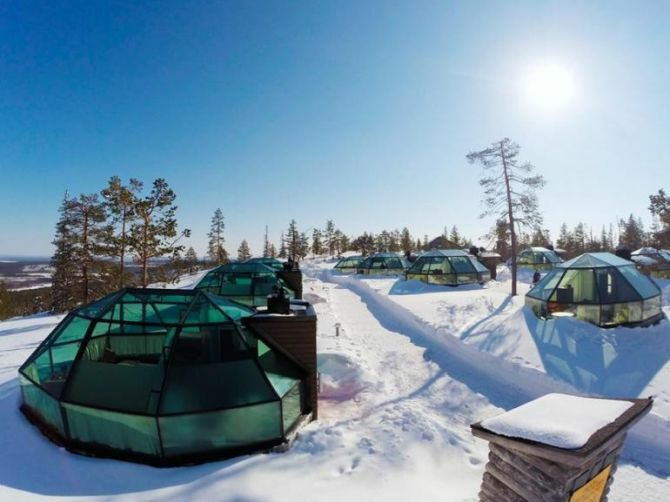 On the other hand, the ‘Superior’ accommodation that can sleep up to four people will cost €429 a night for two people, plus an additional €160 per additional person. A child between 4-12 can bunk for an additional €80. The igloos do come at a hefty cost. But if you have saved up for a holiday of your lifetime, then it’s absolutely worth it. Isn’t it? 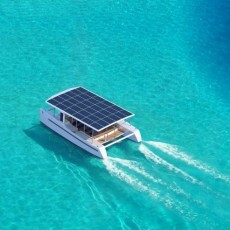 Find more information, here.